Nobody wants to be that magician that show up to job with a duffel bag, or worse yet, with pockets packed with props. 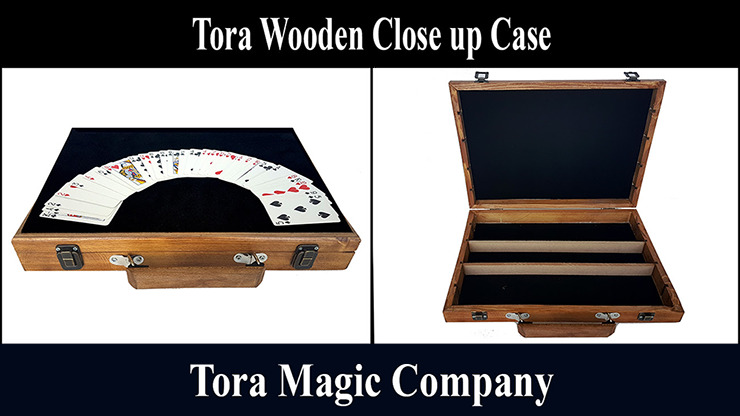 Make a statement about your organization and professionalism with the Tora Wooden Close-Up Case! Made for the discerning magician, now all your props and effects will collected and organized, in easy reach for the next performance. And aside from being a lovely carrying case, it also functions as a great close-up magic surface when closed! Don't fumble around for that next effect anymore. Get organized and buy your Close-Up Case today!